So, are you a cat person or a dog person? What is Australia’s most popular pet, how many homes have one and how much do they cost us? 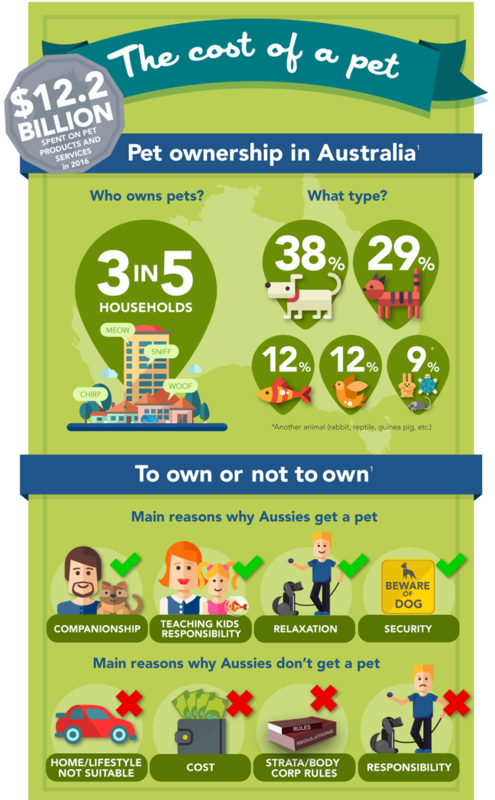 All is revealed in the following Pet infographic from Moneysmart’s website. Now at Power2 we are the first to admit we are not experts on pet ownership, but we can certainly help with affording them! 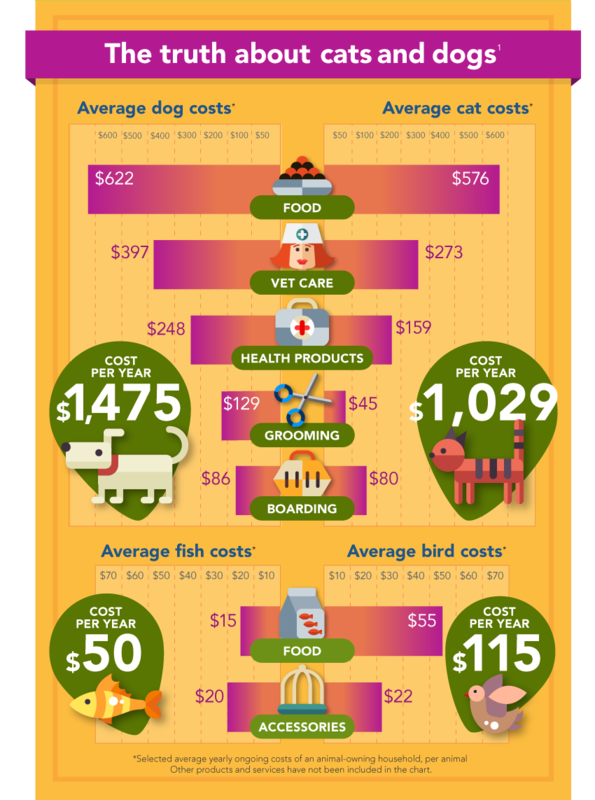 *Selected average yearly ongoing costs of an animal owning household, per animal. Other products and services have not been included in the chart. **Average yearly cost of animal owning household who have paid for pet insurance. Figures calculated by Animal Medicines Australia based on 2016 report data. 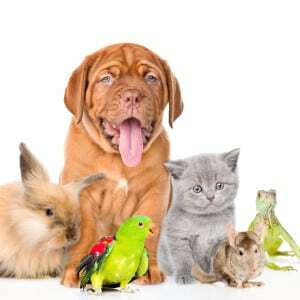 Check out our pet expenses list for your upfront costs for a new pet.